Eziprint is a family owned and operated business which was established in 2008. We are based in New Zealand. We pride ourselves on offering a personal service that is exceptional, which is why we are only a phone-call away if you have a query. 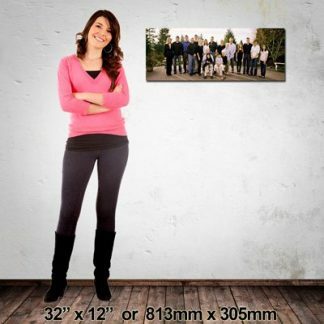 We also offer a top quality canvas print product. The majority of our clients are photographers and artists. They require a high level of perfection as they are usually presenting the finished product to a client or to sell in the market place. We work with them to provide a canvas print that is true to colour, lacquered for long life protection and with a quality finish on the back. All of our finished prints are packaged in bubblewrap and specially made boxes for couriering to either the artist or directly to their client. We treat individuals, who are not artists, with the same importance as their pictures are often of great sentimental value. As much as possible we source our raw products in New Zealand with our frames, bubblewrap, lacquer and cardboard all being locally made. We are always striving to improve our canvas prints as new and improved methods and products become available. Louise not only has a background in art, but also printing, and she has seen many changes over the years and is a wealth of knowledge. Our reputation is built on affordable pricing, fast delivery times, excellent customer service and excellent quality products. We treat you and your canvas print the way we would like to be treated ourselves. If you have a special picture put it on canvas today.